Goel Ganga developers have more than made their stamp in urban Pune, with more than 63 projects under their belt. 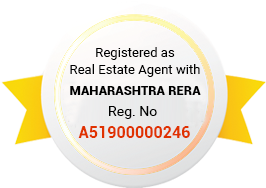 They bring alive yet another fantastic rendition in the real-estate scene of Pune, this time in the region of Dhanori. 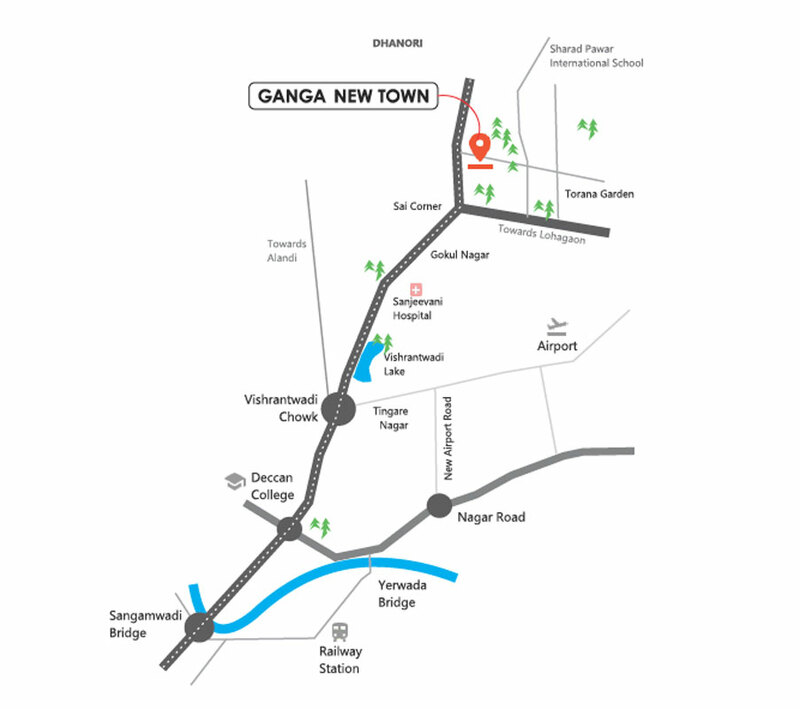 The project is called Ganga New Town, and is fabulous from every aspect. The location Dhanori is the epitome of great connectivity, be it the airport, railway station, schools, colleges and medical centres. The IT hub of Kharadi and the industrial hub of Pimpri - Chinchwad, MNC offices on the Mumbai-Pune road and Pune-Nagar road are all in close distance. 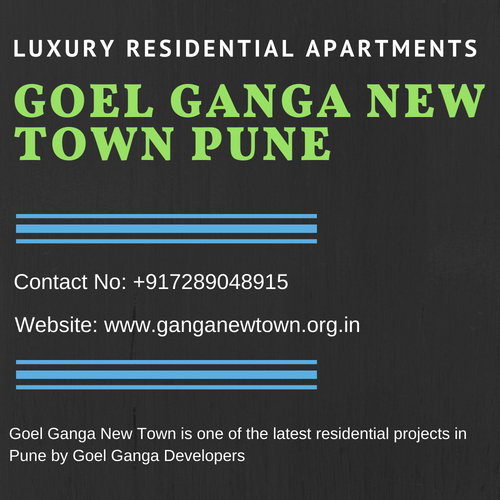 Ganga New Town Pune offers a host of homes to choose from. These are available as 1, 2 and 2.5 BHK homes, each grand and reeking with luxury! Privacy and spaciousness are uncompromised here, rather it is blended well with judicious use of precious space. The expansive homes are well-ventilated. The structure and design are Vaastu compliant and eco-friendly. They have used the best of a quality of materials and have high construction quality. The result is a warm inviting abode that you feel proud to own and your visitors feel impressed as you play the perfect host with pride! Many modern amenities will await those who live at Ganga New Town. These include fitness and relaxation zones, fit for all age groups and varied tastes. There are jogging tracks, green parks, landscaped gardens, indoor games, club house, gym, and kids’ play area, basketball court, cricket net, Jacuzzi and a lot more packed here! Yoga area, an open amphitheater, badminton court, skating rink, sauna, party hall, BBQ pit, multipurpose hall, senior citizens’ area, and even a tennis court are pleasant additions. Conveniences galore and eco-friendly systems are the very soul here. Temple, solar water heating, rainwater harvesting, garbage disposal system, sewage treatment plant, CCTV, video door phones, 24/7 security, water and power supply are practical add-ons. Ganga New Town Price starts from Rs. 37.38 lakhs to 71.03 lakhs. Making at investment here now will translate into huge gains in times to come! Are you game? 6 large dedicated zones of world-class amenities. Strategically located near IT Parks. Off Porwal Rd, direct connectivity to main Dhanori Rd. through DP Rd.